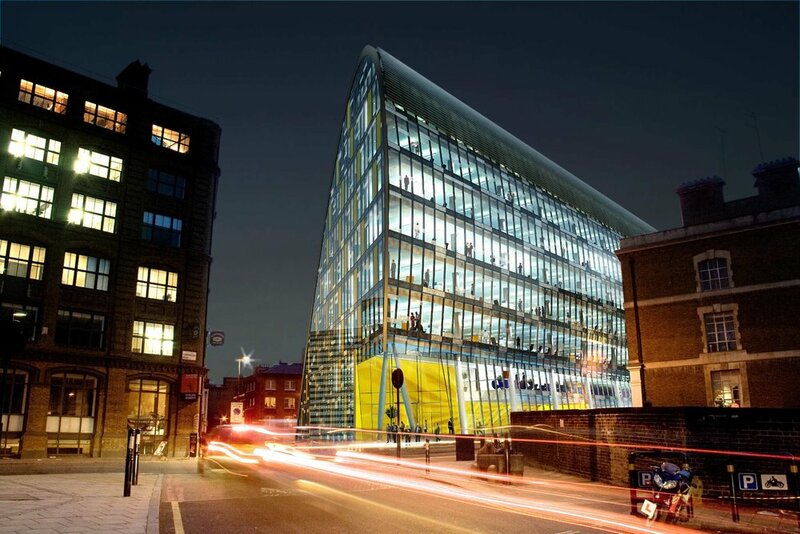 The 'Wave' is a 19,510 sqm landmark office building for new major media, creative industries and professional organisations in Clerkenwell. The striking glassy 'wave' form of the building was drivedn by the buildings orienation and developed through extensive energy modelling and advances in commercial glazing technology. 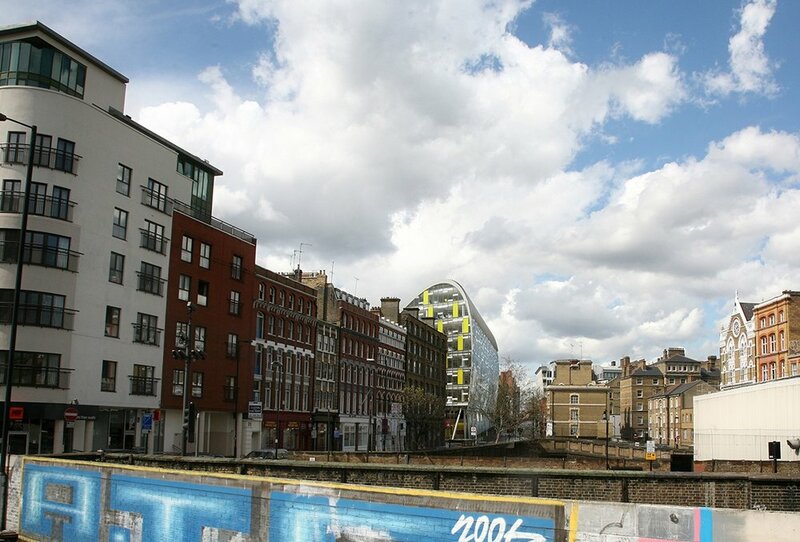 The form presents a prominent entrance on the corner of Farringdon Road, active frontages and a range of fluid floor plates as you rise through the building. 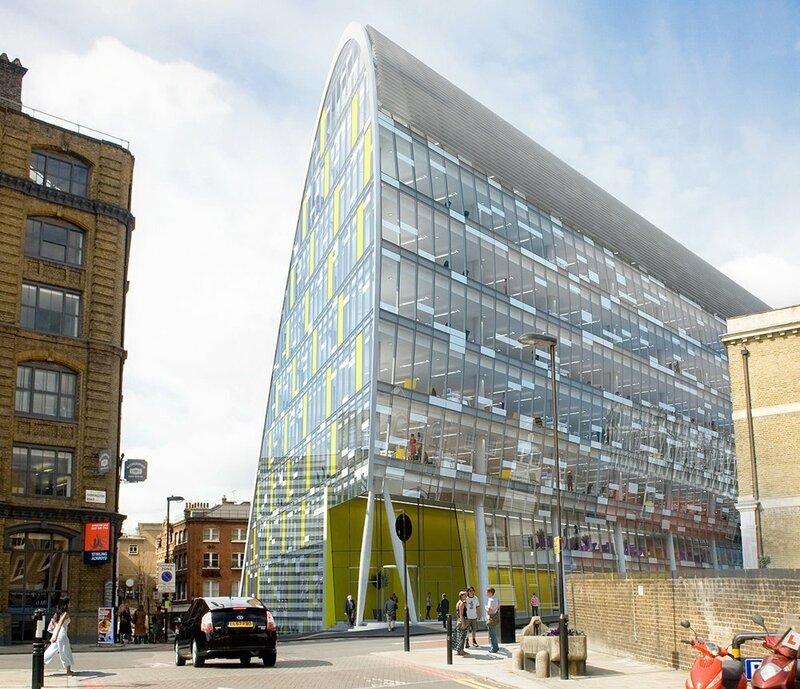 The building is at the forefront of sustainability in office design with a BREEAM “Excellent” rating. Cutting-edge technology has been used to minimise energy use and generate on-site power through 'tri-generation' which provides over 20% renewable energy for the building. Principles of orientation and envelope modelling have been developed to avoid excessive solar gain on the façades.